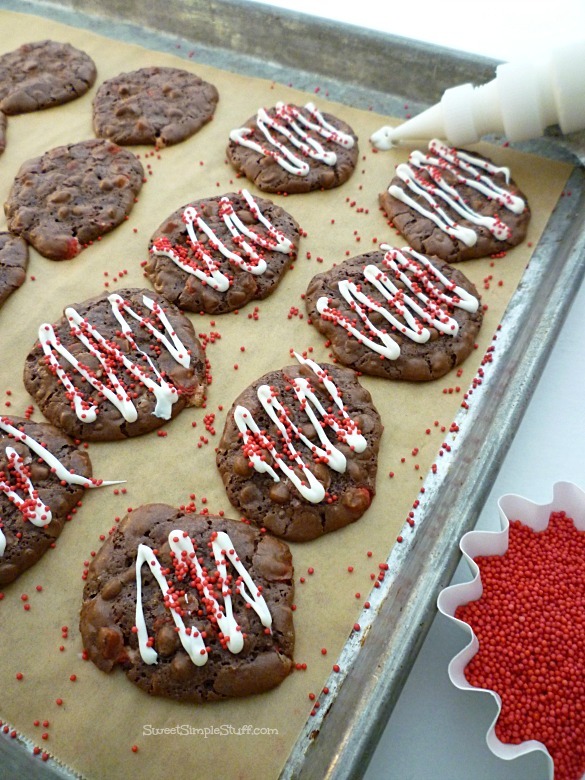 ‘Tis the season for cookies, peppermint and chocolate, too! 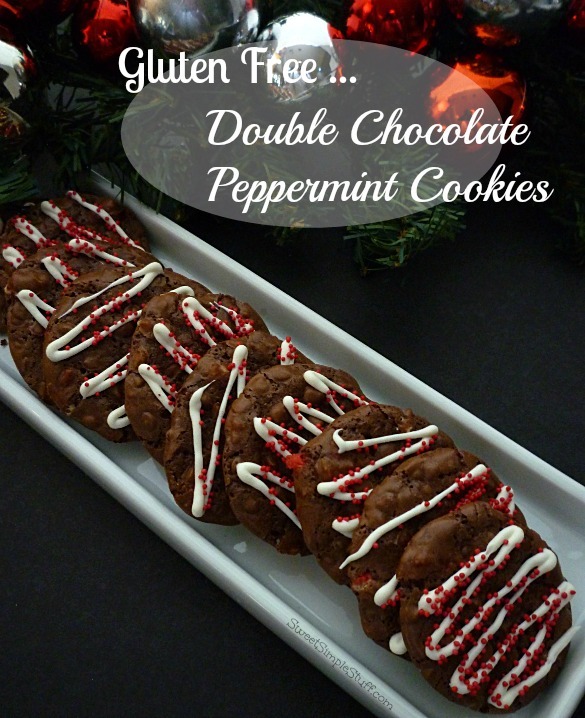 These Gluten Free Double Chocolate Peppermint Cookies are minty, crispy and chewy like a brownie … sure to please everyone on your cookie list! 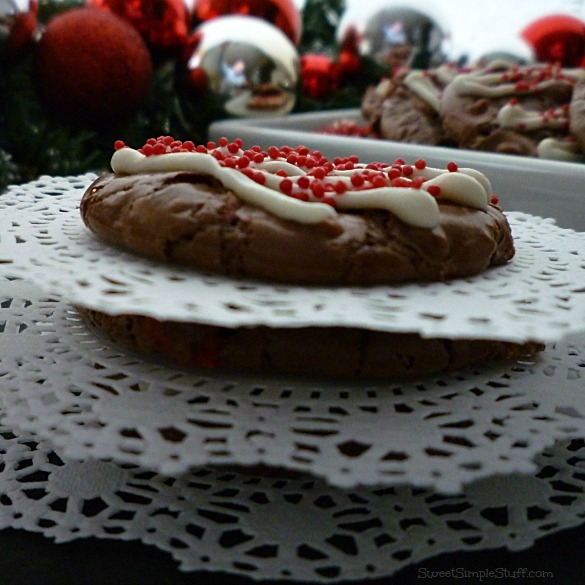 A drizzle of white chocolate and sprinkle of red nonpareils added a decorative touch to this yummy and easy to make cookie. The fact that they are gluten-free is just a bonus! 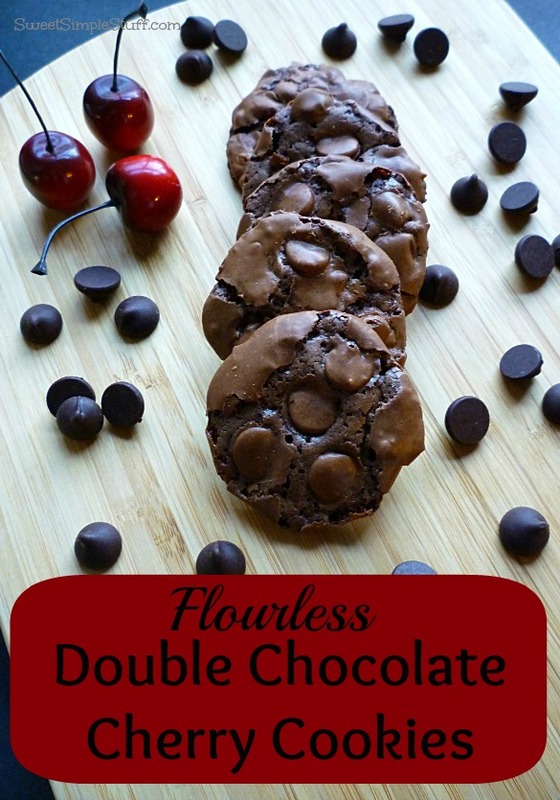 The recipe is basically the same as my Flourless Double Chocolate Cherry Cookies. This time I used mini chocolate chips and Andes Peppermint Crunch Baking Chips … winning combination! tasted great, but needed a little pizzazz … it is the holidays, after all! yep, that’s what those cookies needed! Now they’re all dressed up and need somewhere to go … maybe a party, a neighbor’s house or just stay home with a glass of milk, cup of coffee, tea or hot cocoa! In a small bowl, beat eggs and vanilla. Add to dry ingredients and stir until combined. Use a cookie scoop to drop on prepared pans. Bake 11-13 minutes or until tops are cracked and edges are shiny and firm. Cool about 10 minutes on pan, remove and completely cool on racks. Drizzle cookies with melted white chocolate and sprinkle with nonpareils. Hint: put the melted chocolate in a squeeze bottle, disposable decorating bag or ziptop bag (with the corner snipped off). Let chocolate firm up. Note: I used a 1″ cookie scoop and got 4 dozen cookies about 2-1/2″ in diameter. If you want to make sure there is no gluten in this recipe, be sure check the labels of all the ingredients that you use. 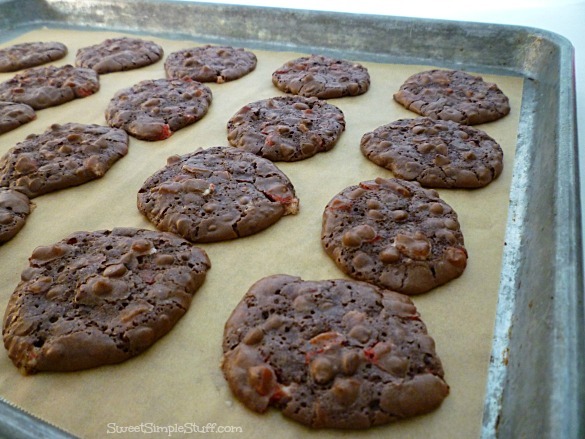 Family input … Hubby is not gluten free, but says these cookies (and the cherry variety) are new favorites! Son #1 thinks the white drizzle is a nice flavor enhancer and adds more than decoration! Son #3 is the person responsible for coming up with the idea of the drizzle and sprinkles! Could these be my boys??? 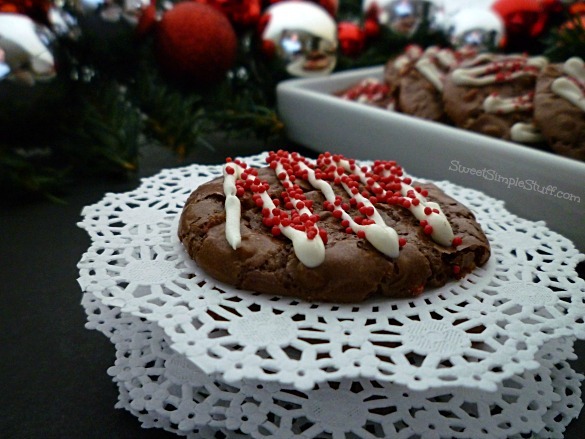 I love the combination of chocolate and peppermint … cookies are a winner in my book! 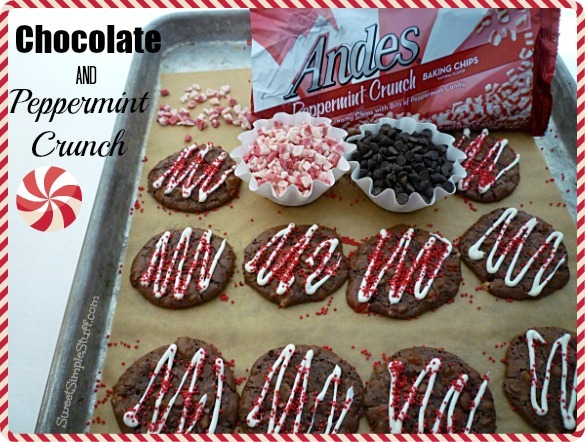 Last year I could not find Andes Peppermint Crunch Baking Chips after New Year’s … think I’m going to pick up a few bags and freeze them. These cookies would be great for Valentine’s Day! I think I could go for a few of these with my afternoon cuppa. Love chocolate and mint and gluten free makes it a double yes for me.